Hello! It's time for a brand new CR84FN Challenge! 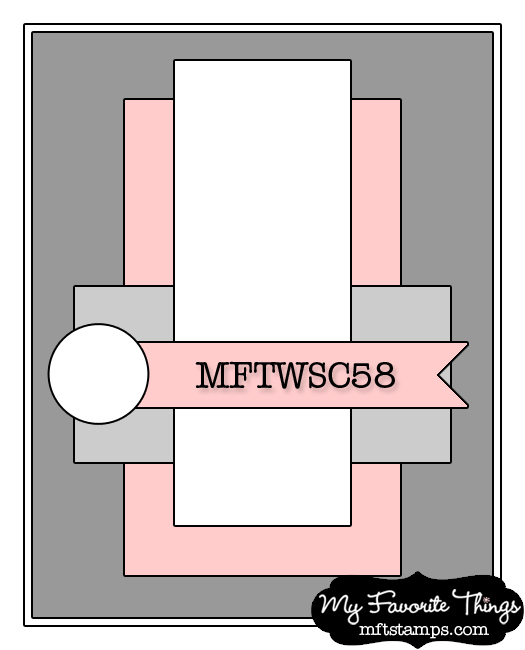 CR84FN48 will last for 2 weeks. Our color palette is Chartreuse, Gray and Lavender. Photos courtesy of Leslie at A Creative Mint. Today I used the Die-namics Sew Nifty and stamp set. For sketch inspiration, I used this week's WSC Getting Sketchy #58 from My Favorite Things. All the challenge details can be found HERE. Accessories: Die-namics Sew Nifty, Die-namics First Place Award Ribbon (MFT); Pearls (Pizzazz Aplenty), Button, Twine (May Arts), Foam tape, Thread, Sewing machine. Very pretty card Stephanie! Love the elegantly stamped dressform and pretty patterned paper. I do like the papers you've used on your card, the layering, the stitched detail, the pearls and the body form stamp is fab!! Love it! Elegant design and lovely card! Love the papers you blended together in your card. 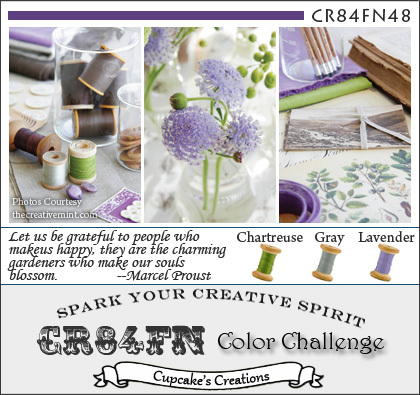 Stephanie, your papers are so perfect for this color challenge! 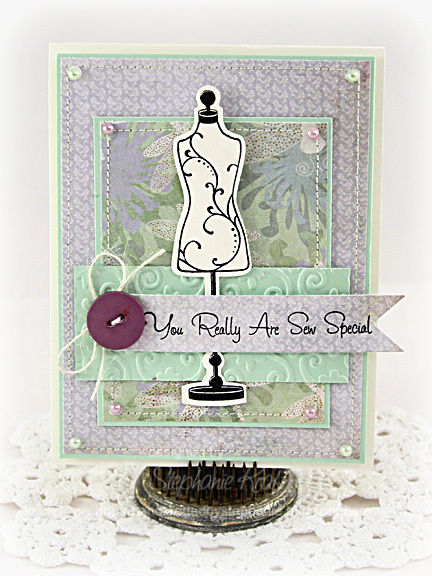 LOVE the sewing theme with the dress form and sentiment and that purple button is just sew perfect on this lovely card! Stephanie, those soft colors are gorgeous!! Beautiful card. DELIGHTFUL Stephanie! Love the pretty DPs,strip of embossed paper and cute dress form! Wonderful use of the colors....love the embossed bg and dress form...sentiment is perfect!!! Such a sweet card! Love all the layers, fab use of the sketch! Lovely card, Stephanie. The mixture of DP and embossing and sewing is fantastic! Soo pretty love this card and the layout! Have to get that stamp and die out. Great inspiration!